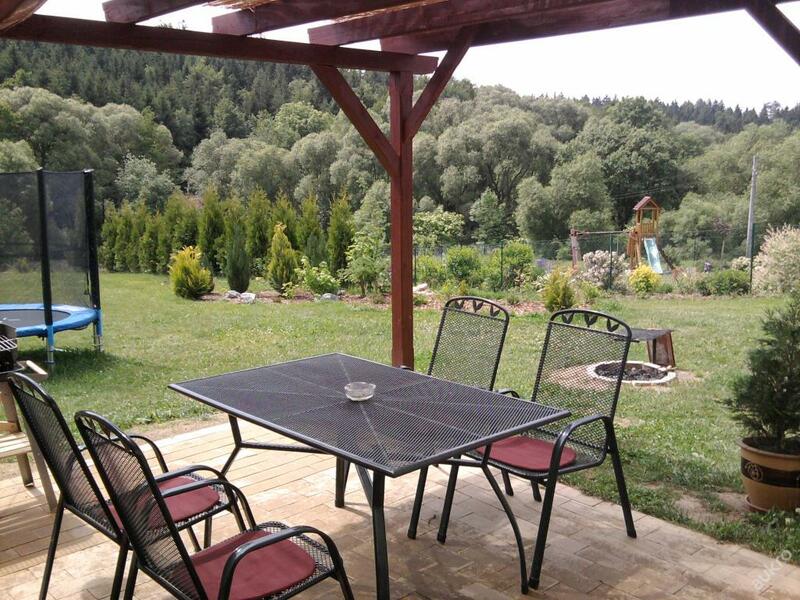 We offer you an accomodation in our apartment house in the village Okrouhlá. 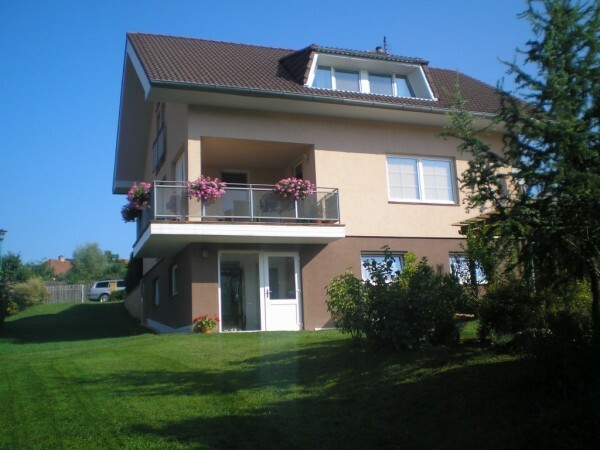 The apartment has its own entrance and is located on the ground floor of the house. You can spend there a weekend or a whole week – whether you would like to enjoy your holidays or you need an accommodation for your work-related matters in the area round. It all depends on the agreement with the owner of the apartment house. From the apartment you enter directly into the garden with a pergola, a barbecue and a fireplace. Your kids will love our trampoline and slide, swings or a small sandpit. Just behind the garden begins a meadow and a forest. You will then have plenty of peace and comfort in the privacy of our garden. The village Okrouhlá lies on the hills Drahan Highlands. From their peaks are spectacular views. Surrounding deep woods are full of mushrooms and berries. You can rest there from the bustle of the cities. The nearby dam Boskovice is not open to the public, because it supplies Boskovice and its surroundings with drinking water, but there are lots of swimming pools all around. More about the possibilities of tourism and entertainment you can read in the tips for trips. You can book by phone, e-mail or on-line on the contact page.